Home » Social Media » Brand Your Topic with Paypal! Brand Your Topic with Paypal! Here’s mine (with my Book Marketing brand): http://PayPal.Me/BookMarketing. Would you like a half-hour of book marketing consulting at half price? Then use this link: http://PayPal.Me/BookMarketing/150. Just click there. Email me your phone number and info about your book project (and marketing), and we’ll connect. 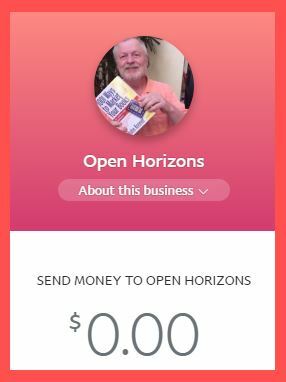 You should also own your topic on Paypal Me. How about one of these? Go to paypal.me to sign up. You do have to have a Paypal account to sign up for paypal.me. It took me less than 5 minutes to claim my Book Marketing topical brand. By @SylviaHubbard1 in Social Media, Uncategorized on June 3, 2017 .